Friendship and peaceful harmony 'Amity' is for everyone !! ...This solid sterling silver pendant is accented with a central, sparkling Swarovski Blue Zircon gemstone. The intertwining oval pendant has been meticulously polished to a mirror like shine. Nestled within the center is a claw set genuine 9 mm, round, brilliant cut, facetted Swarovski Blue Zircon gem. The 'Amity' Pendant measures approximately 28 mm x 23 mm and weighs a total of @ 7.4 grams. Swarovski Blue Zircon 'Amity' Pendant $249. The swarovski blue zircon 'amity' pendant is pictured hanging on a solid Sterling Silver, 18 " Solid Rope Link Chain. 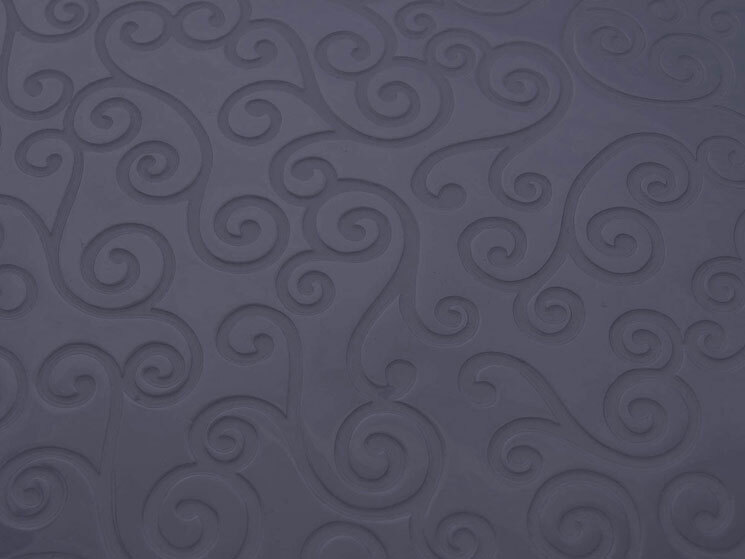 The Rope Link Chain can be purchased separately from the pendant. 18" Sterling Silver Solid Rope Link Chain $56. All of the jewelry showcased in the 'one-of-a-kind' collection are artist originals. 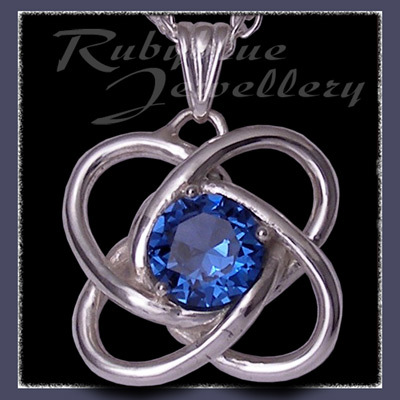 To purchase the Swarovski Blue Zircon 'Amity' Pendant without using PayPal, please contact us by e-mail or phone at Rubyblue Jewellery.